In Christianity, everything hangs on the cross; it is essential to our salvation. Jesus is the ransom for everyone’s sin; for mine as well as Adam’s. The central message of the church is that through Christ Jesus our sins are forgiven; henceforth, the Holy Spirit gives us this gift of the Gospel and the means to proclaim it. The letter to the Hebrews (ch 13) mentions how we are destined to die once and await the judgment. As much as we would like to believe it, there is no second chance; this is what Jesus revealed in the story of the rich man and poor Lazarus: believe the words of Moses and the prophets and let your life live according to that which God has given. So if we replace the word “preach” with the word “proclaim”. We now have Peter saying “for this cause was the gospel proclaimed also to them that are dead. That they might be judged according to men in the flesh, but live according to God in the spirit”. It would seem clear from this that the purpose of Christ proclaiming his gospel to the dead is the same as it is for those that are alive, to give them life. What is the fate of the person that dies without ever hearing of Christ and his gospel message? We do know that they will bow their knee and confess that Jesus is the Christ. Can they confess that Jesus is Christ without knowing his gospel? It has been “proclaimed” to them has it not? Will they then be saved? What is the eternal condition of those who rejected Gods message in this life? Peter talks about those that rejected the message of Noah. At the time of Christ they were understood to be in “Hell”. And the gospel message was “proclaimed” to them while in that state. What next? Do they remain in Hell? Is this the same place where the devil and his angels reside or do they go somewhere else? Do they suffer forever? Is a place of glory, whether it be the full 10 gallons or thimble, only for those that accept Christ and his message? Or is there any chance that even these persons will recieve some level of glory? Is the one chance we are given in this life a chance to receive the fulness of glory to be joint heirs of Christ or is that one chance to receive any glory at all? Are these questions answered by the scriptures? the Bible says in Rom. 3.23 “all have sinned and fall short of the glory of God”. the eternal condition is that all are sinners. As sinners, Rom 6.23 “the wages of sin is death” death meaning both literally and figuratively. ” At the time of Christ they were understood to be in “Hell” “. Ps. 19.1 The heavens declare the glory of Godand the skies proclaim the work of his hands. Acts 28.23-28 it is a fact that the Jesus and His story is told to millions of people around the world, every day in radios, in churches, in tv, by other people. but very few really listen and believe. most ignore the message. This is a false doctrine, especially the second part “everyone will have a chance to at least hear about Jesus and accept Him as their Savior whether that be in this life or the next” as it clearly contradicts what is said in the bible. (Heb 9.27, Revelations 20.14, Revelations 21.8, Romans 6.23). the only time in a human’s life where we have a chance of being saved from eternal death is while we are still alive, still here on earth. after our body dies, we will forever be apart from God if we do not accept Jesus as Lord and Savior. “For if God did not spare the angels who sinned, but cast them down to hell and delivered them into chains of darkness, to be reserved for judgment; and did not spare the ancient world, but saved Noah, one of eight people, a preacher of righteousness, bringing in the flood on the world of the ungodly;….. the Lord knows how to deliver the godly out of temptations and to reserve the unjust under punishment for the day of judgment,”. These are angels not humans. The bible never indicates that humans have an immortal soul. We did not preexist (John 8:23, 1 Cor 15:46) We are souls and Ezekiel 18:20 says the soul dies. How can the soul die if it is immortal? the bible says we return to the dust not go to another realm (Genesis 3:19) God said we would die but that would be a lieto say we dont really die we continue life in another realm. God did not say you will die but not really because you are living on in another form. We are in the grave John 5:28,29. Man is a soul (Genesis 2:7) Not given one. The dead are asleep (Eccles 9:5,6) not in the spirit world. I can see why you believe what you do if you are looking at those individual scriptures. If I were to go down the path (which I’m not) of what we call “Bible bashing”, I would then show you scriptures in the Bible that prove my point of view. That is the problem with the Bible. It is an inspired book, but open to many different interpretations (hence so many denominations). 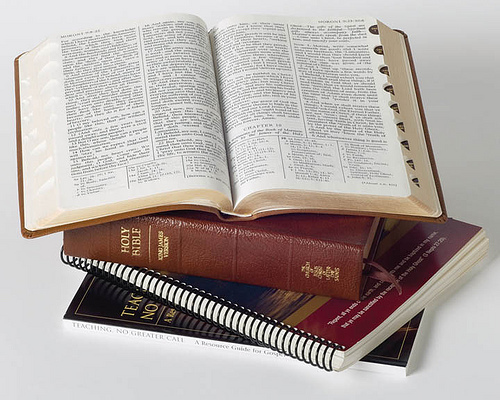 That is why we have the Book of Mormon: to re-affirm the truths found in the Bible. In the Book of Mormon, it clears up some of the doctrine that can be confusing for Christians of all faiths. Therefore, we know that our souls are immortal. There are. It so many denominations over interpretation. Most denominations go beyond what is written. Like Catholics “Mary, Saints, purgatory” none which are in the bible. Or Baptists with “Once saved always saved not biblical”. It’s not anything about interpretation. People insert the word interpretation where they refuse to agree. WOW! I had no idea that Jehovah’s witness believed that we don’t have souls/go to heaven when we die. What do you all say about the scripture in Luke 23:42-43 Jesus tells the criminal on the cross next to Him that he will be with Him TODAY in paradise?? And what about the story of the rich man and Lazarus that whole conversation? And in 1 Samuel 28 Saul has a medium bring Samuel back so they can talk and they do. How could all of this happen if the dead are asleep? As far as the LDS opinion of universalism that is a scary ground to walk on. You only showed one uncertain scripture to support the claim that we get a second chance to proclaim Christ as Lord. I feel like this would be in the Bible more prevalently if it was true. I mean what if your wrong and you are telling people they can live however they want to live basically in this life because they get second chance and then all those people don’t! Thats a lot of souls on the line for one scripture that is very unclear as to its meaning. Jesus talked so often about the narrow road and in Matthew 7:21-23 He says that not everyone NOW who says Lord Lord will enter the kingdom of heaven!! Then in Matthew 10:34-39 He talks about the importance of not putting anything or anyone before Him cause if we don’t loose our life (NOW) to Him we will loose it for real when we die! Or 1 Corinthians 6:9-11 what about that one? There is not a single bit of Biblical evidence that everyone who doesn’t get it this time will have a second chance! Everything Jesus says is quite the opposite. So lets stick to that and not give people false hope or any excuse to ignore God now and suffer major consequences when they pass away!! Even if you all do not tell people that they can live however they want it is still setting people up for that belief in their minds. If someone told me I get a second chance and we all know how easy it is to slip into sin in this life then I would be much less likely to try very hard. But instead thankfully I wasn’t taught that and so I strive everyday to live my life totally for God and for His will with His help. Yep I still mess up but I’m not thinking oh well I’ll just do better in the next life! Scary and sad!! You’re not exactly informed correctly on the LDS perspective of salvation. It isn’t universalism, as many anti-Mormon Christians try and tell people. What Mormons believe is that those who didn’t get a chance to learn about and accept Jesus in this life will have that chance in the next life. For example, if someone in China hasn’t had the opportunity to learn of Jesus in this life, would it be fair to send them to Hell? Scriptures say God is a just God. Is that just? No it’s not. Therefore, people get a chance to learn of Jesus and accept or reject Him after we die. Those who have a fair chance in this life had their opportunity and that’s that. This isn’t giving someone false hope. It has to do with God being a loving and just God. The scripture you’re referring to is not translated correctly. When Jesus said “You will be with me in paradise” he didn’t mean that day. For Jesus himself was in the grave three days. So he himself didn’t go to paradise that day. The bible translator inserted a comma making it says “I tell you, today you will be with me in paradise”. Now when in harmony with where the dead are it should be translated “I tell you today, you will be with me in paradise”. Now he said this making a covenant. Jesus would say he’d be with him today in paradise when Jesus himself was in the grave for three days. Just as when Jesus walked the earth and preached the kingdom to everyone without prejudice, so it was when He visited the dead. Jesus’ blood was shed for ALL.Why would Jesus only preach to the righteous? Is that what He did on earth? Most of His followers were the unrighteous, and He forgave them all, and some He even healed.